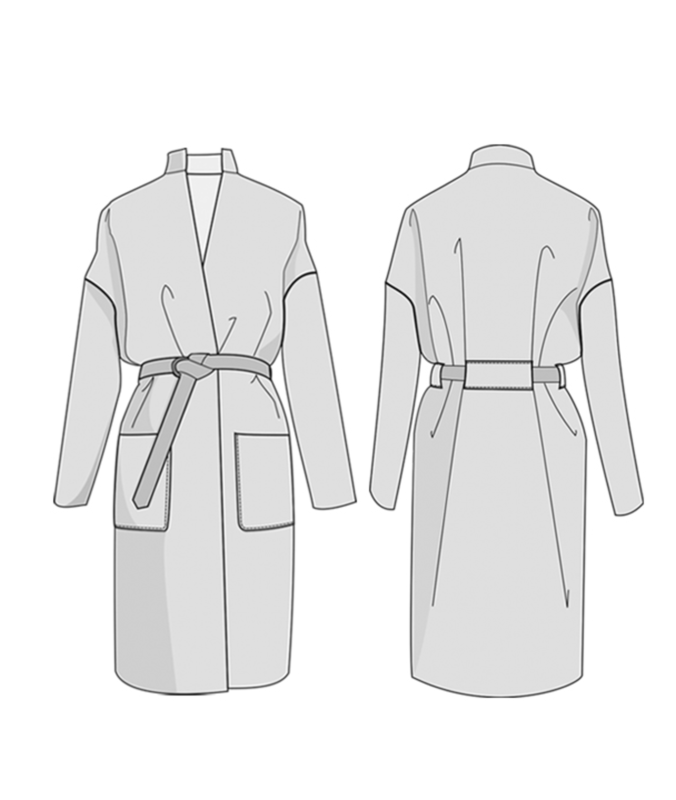 Buy the Riga coat sewing pattern from Orageuse, a relaxed fix wrap coat. The pattern features a mandarin collar, dropped shoulders and optional patch pockets at the front. 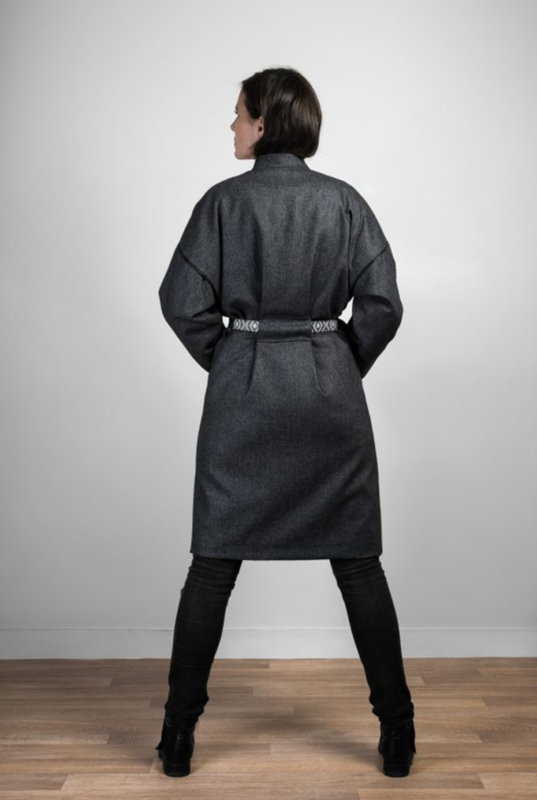 The coat closes with a tie strap that has an interesting encasing at the back of the coat. The coat is also lined. 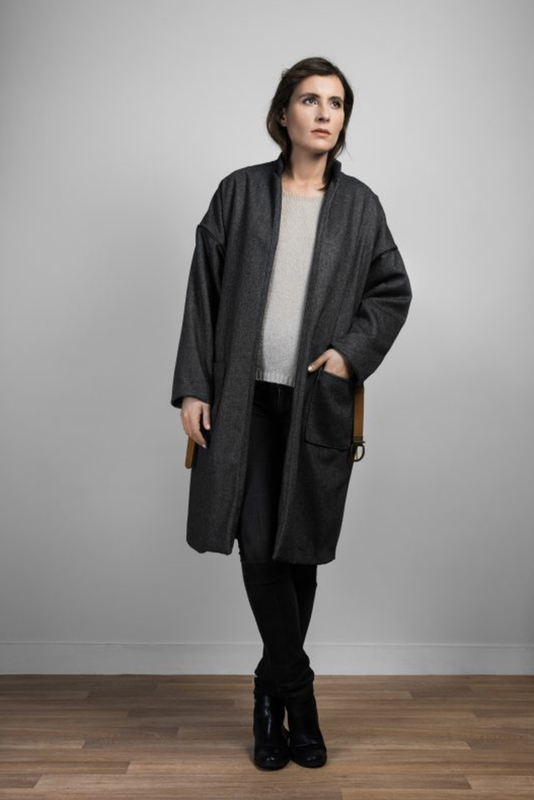 What we think: was love the simplicity of this coat, it could be a great one if you’ve not made a coat before. The relaxed fit will make fit issues minimal and the tie closing is a simple finishing. 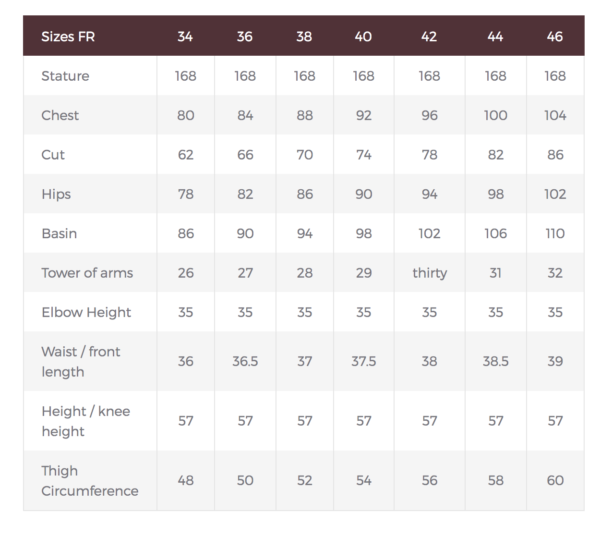 Suggested Fabrics: wools suitable for coats, felted wool, boucle, tweeds.